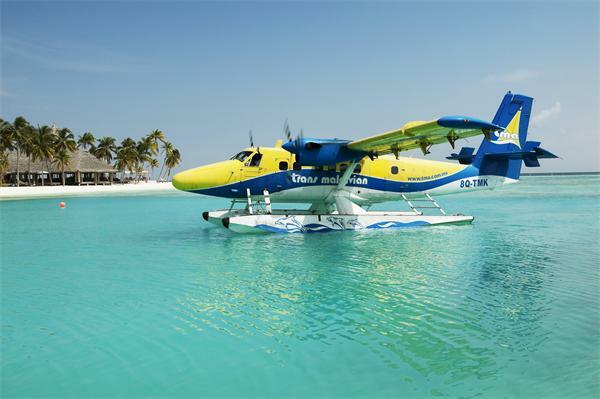 Veligandu Island Resort and Spa is a breathtaking place to visit. 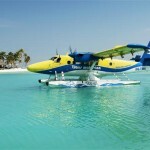 Located on the tropical Rasdhoo Atoll only 20 minutes by seaplane from Malé, it’s the ultimate honeymooner’s paradise. 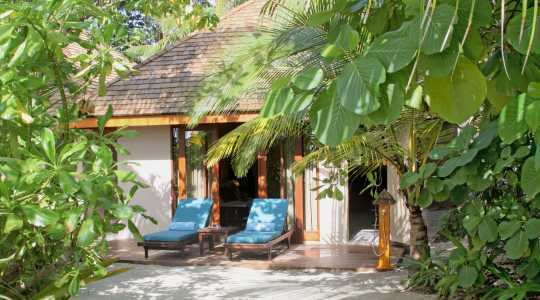 Relax in a private Jacuzzi, go snorkeling in the lagoon, soak up the sun on the 80 metre long sandbank, or maybe pamper yourself to a hot stone massage… at Veligandu you are simply spoiled for choice. All-year-round sunshine and pure white sands licked by the slow-moving waves of the azure lagoon invite you to sit out all day, gaining a stunning tan and a relaxed mind. Feel the gentle breeze from the Indian Ocean against your skin or go for a swim in the warm waters of the lagoon. 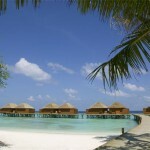 You decide how you want to spend your Maldives holiday. 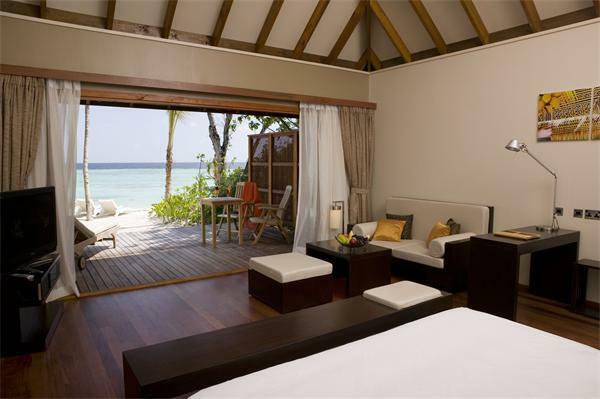 Veligandu Island Resort and Spa has everything you could ask for – but if all you want is a comfortable sunbed or a romantic dinner under the stars, you will get it. 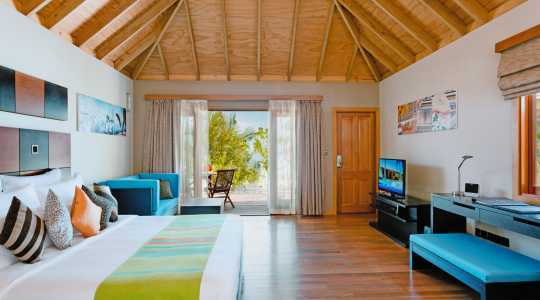 The serene atmosphere and exclusive variety of villas, spa treatments, excursions and facilities on offer make a holiday at Veligandu Island Resort and Spa one of the best luxury experiences in the Maldives paradise. 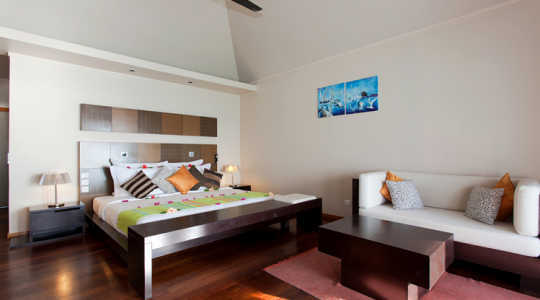 The spacious Beach Villas (71 sqm) are located directly on the beach on both the east and west side of the island. 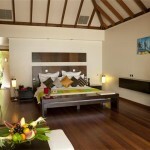 The Jacuzzi Beach Villas (86 sqm) are located directly on the striking beach on the beautiful east side of the island. They all have private sundecks, excellent views of the lagoon, an indoor bathroom and a whirlpool bathtub for you to relax in. 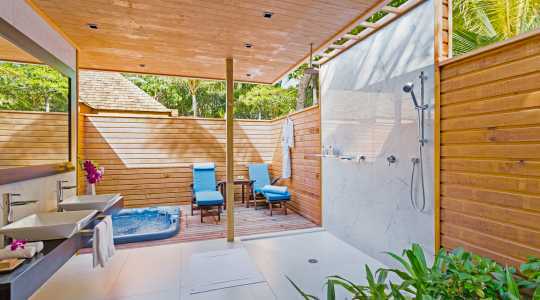 The Jacuzzi Beach villa accommodates three adults. 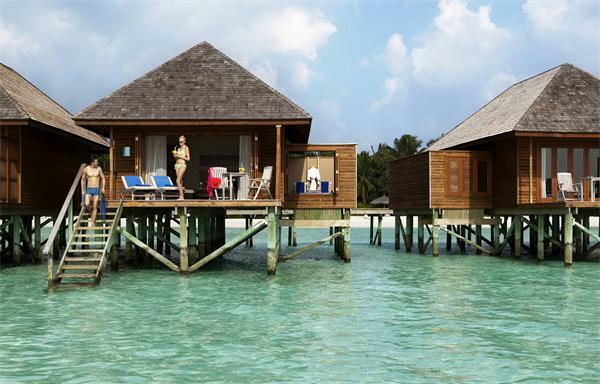 The indulgent Water Villas (58 sqm) are adults only giving peacefulness and privacy. 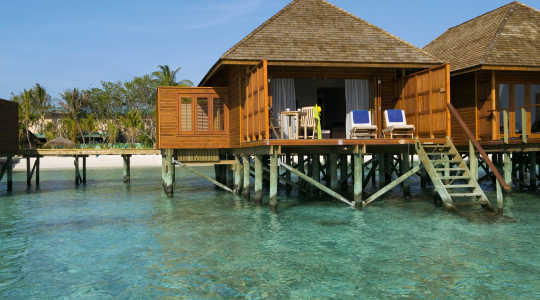 These comfortable villas sit on timber stilts above the ocean waters, with a private sundeck and direct lagoon access. 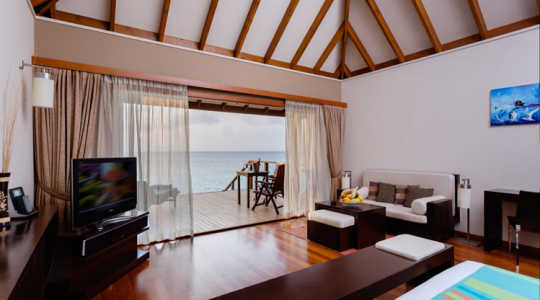 The cosy water villas are tranquil and give stunning views. The secluded Jacuzzi Water Villas (86 sqm) which are adult only, are located directly over the crystal clear lagoon north or east of the island, make for the ideal Maldives experience. Looking out to the Indian Ocean, your private wooden sundeck has direct access to the lagoon via steps which makes it perfect for snorkelling to discover the marine life below the surface. The Jacuzzi Water Villas come with a Jacuzzi in the private outdoor area and can accommodate three adults. 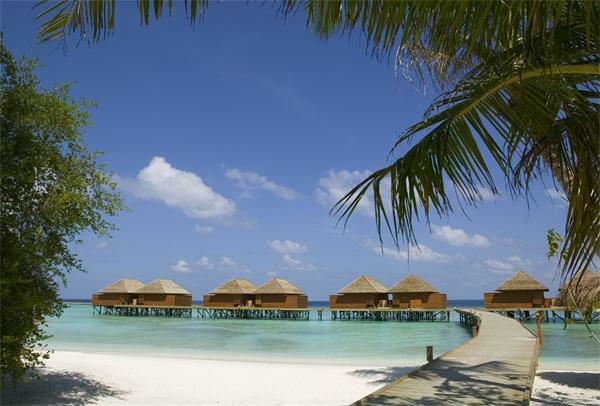 During your Maldives holidays, you’ll want to dine, sunbathe, unwind and do something fun. That’s where Veligandu Island Resort comes into its own, since there are many facilities available to keep you entertained. If you’re sporty, why not try badminton, beach volleyball, darts, table tennis, guided snorkelling tours, sailing trips or canoeing? Other water-sports include hydro-biking, windsurfing and there is also a PADI approved diving centre for those wanting to go a little further under the water. There are fishing excursions for deep sea fishing and a fitness centre back on dry land if you want to keep your gym regime up. Duniye Spa offers complete relaxation after a day of water-sports and sunbathing. Let experienced therapists rejuvenate both your body and mind in spa facilities located directly over the beautiful lagoon.There is a wide range of beauty treatments to choose from, including rejuvenating facials, hot stone massages, couples treatments, pedicures and mud baths. Only the most exclusive products with pure ingredients are being used, ensuring the best results. 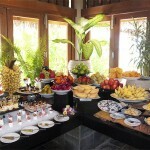 Guests enjoying a Maldives holiday at Veligandu Island Resort and Spa have a choice of three excellent restaurants. The Dhonveli Restaurant is the main restaurant located on the east side of the island. 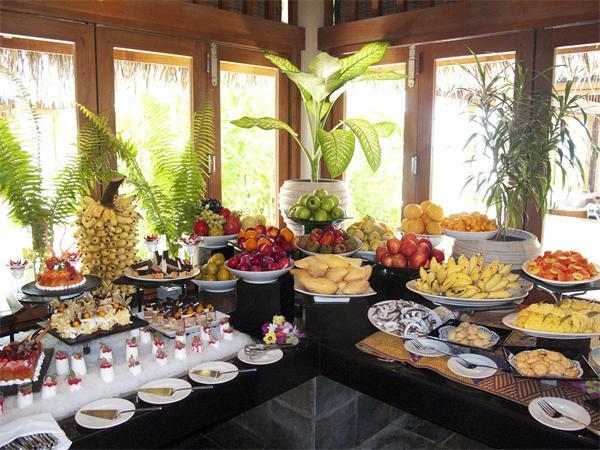 It offers delicious buffet-style meals for breakfast, lunch and dinner and is simply the perfect choice if you’ve opted for an all-inclusive Maldives holiday. Here you’ll find more-ish meals that you can pile high and dine like a royalty. Enjoy regional and international cuisine, prepared to high standard, in one of three dining areas. There are also live cooking stations where talented chefs will prepare your food to your requirements. The Madivaru Restaurant has an a la carte menu and is the ideal dining place for a romantic meal for two. Here you can experience fine Maldivian cuisine, grilled seafood, Thai food and other delicious cuisines, while sitting outside overlooking the lagoon. The Pool Bar offers an extensive bar and snack menu, which switches to light meals for those that are a little peckish in the evening. Here you’ll enjoy European and international snacks, fresh fruits and sandwiches. 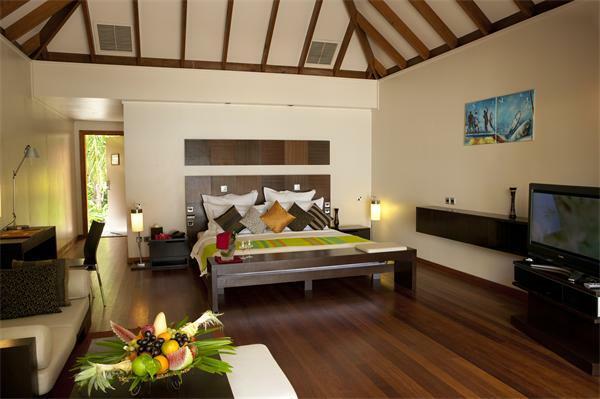 Simply Maldives Holidays offer a Full Board Package and an All Inclusive Plus Package to guests staying at Veligandu Island Resort. A complimentary fruit plate, a bottle of sparkling wine and flowers in room upon arrival.